For today I have a short observation that I might develop in the future. The post is about how digital tools for text analysis fit into the practice of historical research (the doing of history). Advanced students of history will be familiar with the “linguistic turn” of the late 20th century. This is the scholarly practice of analyzing how language shapes (our knowledge of) reality. Postmodern skepticism about objective historical knowledge is the best-known variant of this trend. However, it is not the only one. In recent decades many historians — not all (perhaps even few) of whom would accept the label of post-modernists — have paid increasing attention to literature and popular media as sources. 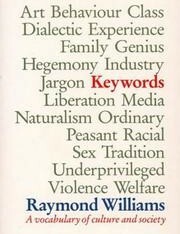 One example is the British cultural analyst Raymond Williams, who, starting in the 1970s, outlined a program for the study of “keywords.” Voyant is a fabulous digital tool for the study of keywords. Otto Brunner, Werner Conze, and Reinhart Koselleck (eds. ), Geschichtliche Grundbegriffe: Historisches Lexikon zur politisch-sozialen Sprache in Deutschland (Stuttgart: Klett-Cotta, 1972-1997). 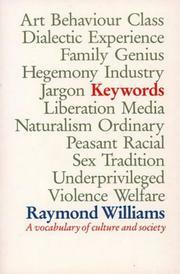 “Keywords Project: Raymond Williams and Keywords,” online. Stéfan Sinclair and Geoffrey Rockwell, “Voyant Tools Documentation: Examples of Voyant in Research,” online. Keith Tribe, “The Geschichtliche Grundbegriffe Project: From History of Ideas to Conceptual History,” Comparative Studies in Society and History 31, no. 1 (1989): 180-84. Raymond Williams, Keywords: A Vocabulary of Culture and Society, rev. ed (New York; London: Oxford University Press; Fontana Paperbacks, 1985; first published in 1976). Under the “About” and “Themes” links for this Blog I outline a new research project that I am working on with Gary Waite and a team of other scholars to examine the nonconforming religious roots of early Enlightenment thought and social organization in London and Amsterdam from about 1580 until 1700. An aspect of this project is that we will examine the opponents of religious nonconformity and intellectual innovation. The short title for the project “Amsterdamnified!” This post is about the oldest source of this quirky term. I will use the source to highlight a promising digital tool.